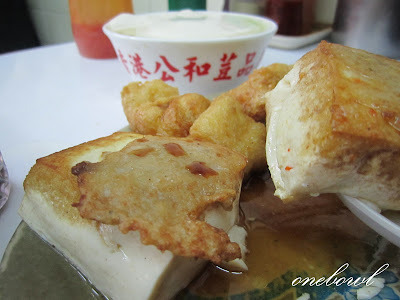 This is on my must eat list whenever i go shamshuipo. 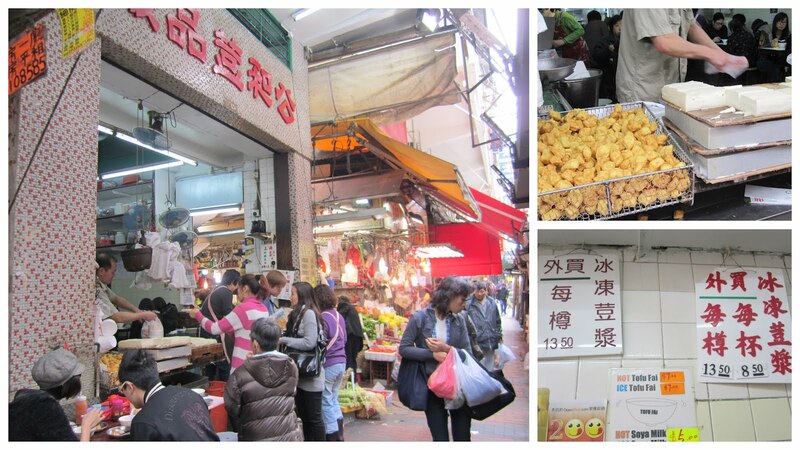 This place was featured in one of those tourist guide books and one of the shopkeepers recommended it too. Must eat - the toufu hua with yellow sugar and a plate of the panfried beancurd and beancurd puff drizzled with soya sauce. Oily and sinful! Yumz! 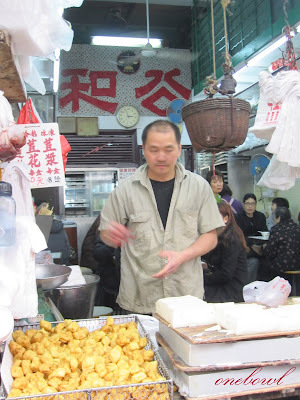 Gong He (公和豆品厂) is a small shop packed with customers - just eat and go. According to the guidebook, its established since 1893. The shop still retains its traditional look and feel. In front of the shop, there are two sections. 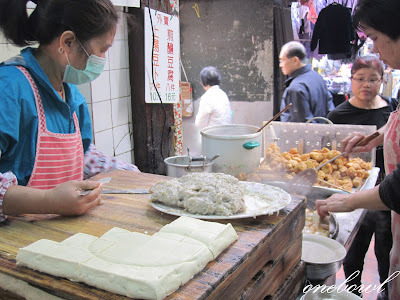 The one on the left sells beancurd and beancurd puff fo takeaways. I usually buy a bag of the puffs home to go with my noodles/ laksa. The one on the right specializes in frying the beancurd To get there, take the mtr to Shamshuipo station, then exit B2. Once you exit from the stairs, you will see this 7-11 shop in front of on the right. Walk towards that direction - The shop is located along that 7-11 stretch of shops. Its No. 118 Pek Ho Street (深水步 北河街 No.118).